Open the command prompt by pressing the Windows+R keys and typing "cmd"
If your operating system was not installed by us, e.g. because it is a colocation device or it was installed manually by you, the necessary information needs to be added to your system manually. The following guide should give you enough information to get IPv6 up and running on your server. Do not use the address space shown in the image, "2a02:c200:0:10:3:0:7:1". Use your own IPv6 address space from your customer control panel instead. Before adding this IPv6 address to your configuration files and thus making the changes persist after a server reboot, you might want to configure it manually. I will use the IPv6 address 2001:db8::1 in this example. Please replace it with the appropriate address assigned to the server in question. If your network card is not eth0, you will have to replace "eth0" with the appropriate value, too. 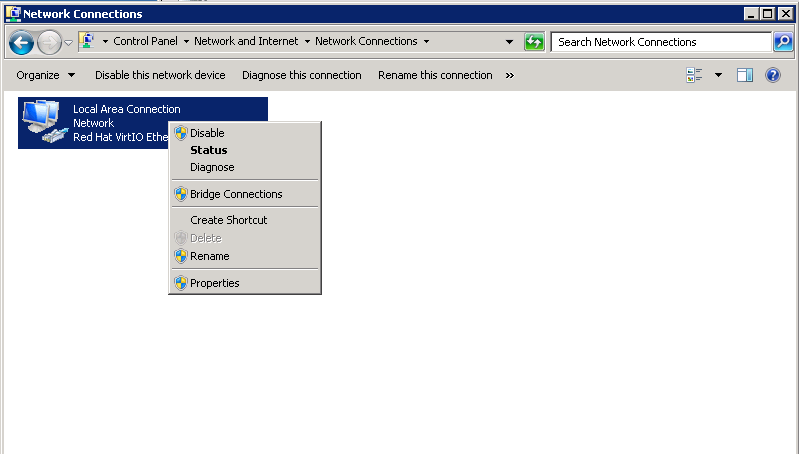 Different operating systems have different ways of setting up the network configuration. If in doubt, please search the documentation for your operating system. Sample configurations for Debian/Ubuntu and CentOS/Fedora/RedHat will be provided here. Please be very careful when applying these changes. Errors may result in your server no longer responding to any network traffic at all! Ubuntu is using Netplan since version 17.10. To configure IPv6, please add the required address as shown in the example bellow into your /etc/netplan/01-netcfg.yaml. Please also add the entry for "gateway6". The usage of correct indentations is important. Please leave the other entries, for example "macaddress", the way they are. This should make sure the IPv6 address gets enabled again after your server reboots. Click on "OK", to close the dialogues and save the changes. Still cannot reach your server via IPv6? If you have made the changes as described above and if the ping6 command did return a response but you nevertheless cannot reach your server via IPv6 from your local computer, chances are that IPv6 might not yet be enabled in your local network. Your local ISP can help in this case.